Click ONLINE REGISTRATION from our main menu to get started. Skaters should be registered online at least 24 hours before their session and payment must be complete, not pending. CanSkate is Skate Canada’s nationally recognized learn to skate program and were so glad you’ve decided to be a part of this wonderful program through our Juan de Fuca Skating Club! 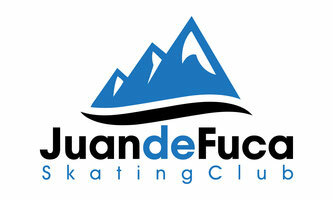 * For upcoming CanSkate events, please click on the CanSkate/ Pre-Power page. Spring School at Westhills Arena begins Mon. Apr. 1st. Online registration is available for these sessions. Thank you to everyone for all your help! We greatly appreciate all the volunteers that stepped up to make 'Imagine...' possible for the skaters! March Issue of Thin Ice!